Don Quixote battled the giants that turned out to be windmills, and that currently compose the most typical image of La Mancha in history books. The giants were baptized with the names of Burleta, Infante and Sardinero. 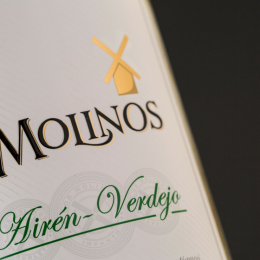 Los Molinos airen – verdejo is the result of a careful selection of the very best grapes. 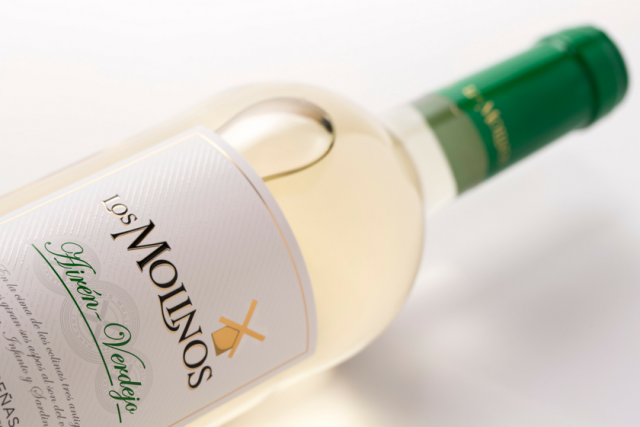 Despite its young character, it exhibits a good structure. 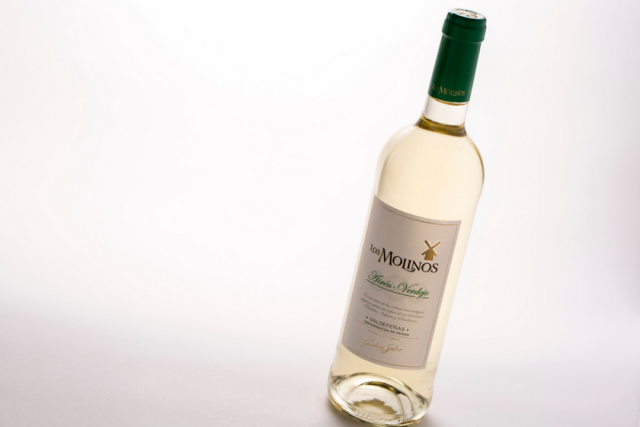 An attractive pale lemon colour, with flavours of white flowers, fresh peach and ripe tropical fruits. 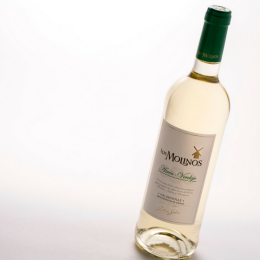 This is a crisp and fruity white wine, perfect for any occasion. Serve with light starters, chicken or fish dishes. 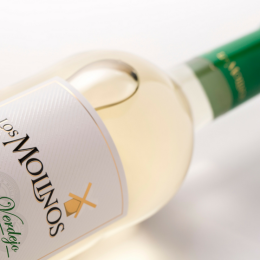 It is mostly harvested at night so that low temperatures below 12oC help to preserve the aromas of this variety. 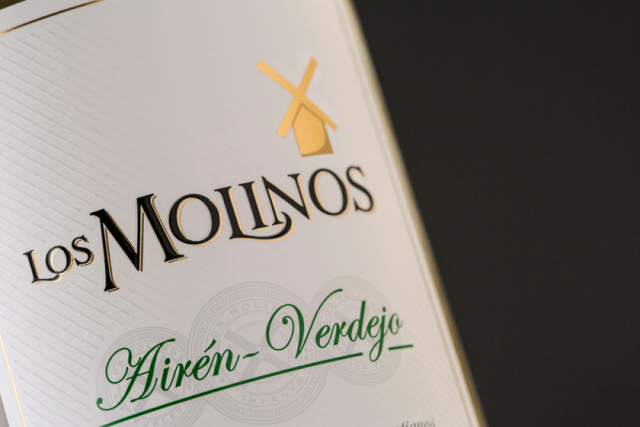 Every stage of cultivation and elaboration is carefully controlled to prevent oxidation. 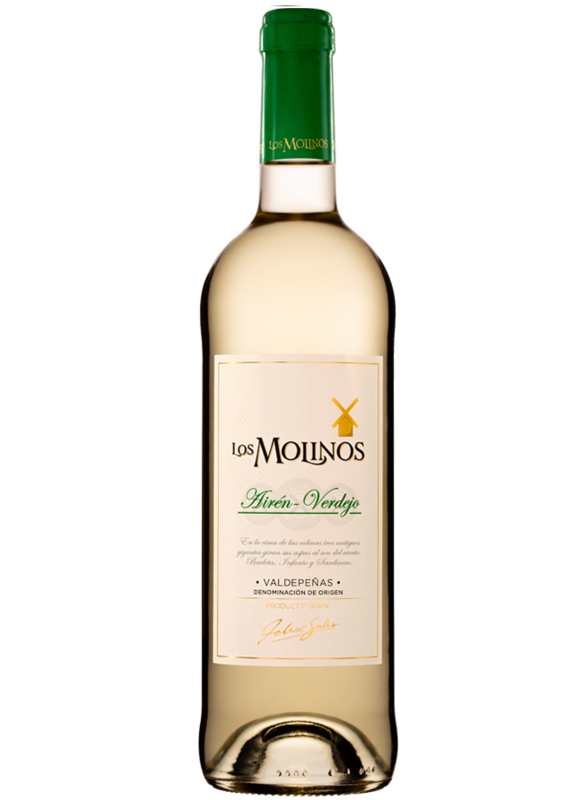 The grapes macerate at low temperature to obtain the variety’s maximum expression. 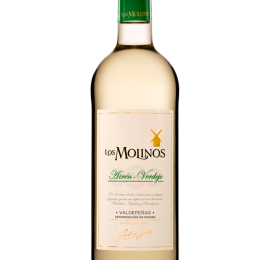 Then, fermentation takes place at approximately 14-16oC for up to 12-15 days to draw this variety’s maximum aromatic potential.